Fuel prices have been increased with effect from yesterday midnight. Accordingly, the prices of a liter of Petrol Octane 92 and the Auto Diesel have been increased by Rs 6 to Rs. 129 and Rs.4 to Rs. 103 respectively. Petrol Octane 95 has also been increased from Rs. 5 to Rs.152 and Super Diesel has been increased from Rs.8 to Rs. 126. The Finance Ministry, in a statement, said that the price of diesel should have been increased by Rs.9.59 based on the latest international market price of crude oil. The ministry also stressed that there was no reason for an increase in bus fares and three-wheeler fares, as transport charges were unreasonably increased in higher percentage than the fuel price revision. “The government is considering its effect has decided to increase the price of diesel from Rs. 4 to Rs.103 per litre,” the statement said. Fuel prices are reviewed every 10th day of the month under the fuel pricing mechanism introduced in May, 2018, when oil prices were upwardly revised on last October 10, the price of a barrel of crude oil had gone up to US Dollars 84. It came down to USD 70 by November, 2018, and it was reported to be USD 53 when fuel prices were last reduced on January 10, 2019. When fuel prices were increased for the first time in May, 2018, under the pricing formula, the local selling price of petrol was Rs.137 per litre and by now it has come down to Rs. 129 per litre. Diesel price which was at Rs.129 per litre in May 2018 by today has come down to Rs.103 per litre. However, unfortunately bus fares, three-wheeler fares and other transport charges were unreasonably increased by a higher percentage than the fuel price revision. 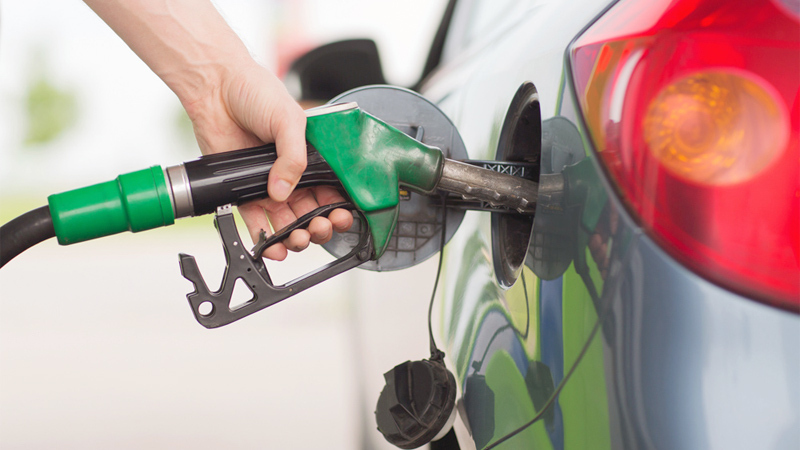 Under this context, the government stresses that there was no reason for a fare increase in any of the transport or other logistics sectors on par with this latest fuel price revision.